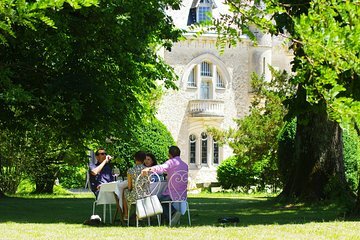 Sample some of the fine wines for which France is famous on this private 9-hour Route des Châteaux wine-tasting tour in St-Emilion from Bordeaux. Travel with your guide through the rolling vineyards of rural France to St-Emilion. Gain insight into the region’s winemaking heritage and learn of famous names including Pomerol and Fronsac. Visit three wine estates with your private guide and blend your own wine during tasting sessions. Enjoy a traditional apéritif among the vines. Then, explore Romanesque churches and cobbled streets in UNESCO–listed St-Emilion.